Copyright © 1965 LITUANUS Foundation, Inc.
A number of Lithuanian artists, who began studies in their native land before World War II but found themselves in foreign countries, continued on the chosen creative road after the great upheaval. They matured artistically in a new environment, but, at the same time, did not definitely cut the ties with their cultural background. While exile, refuge, or even expatriation can rarely be a satisfactory social condition, it often is rewarding for the creative personality since it provides an opportunity for a quiet "cultural exchange" and artistic and intelectual growth. The Lithuanian sculptor Antanas Mončys is one of those who experienced the above conditions. Antanas Mončys was born in Lithuania in 1921. During the war (191fl-19JfS) he studied architecture in Lithuanian universities. Toward the end of war Mončys fled to Germany and remained there until the end as a laborer in a sawmill of Bavaria. In 1947 he continued art studies in École des Arts et Metiers in Freiburg, a special art school for refugees, set up by the French Government. Although the school was organized on temporary basis, it was under the jurisdiction of and full accreditation by the French educational authorities. In 1950 Antanas Mončys received a diploma from this school and at the same time was awarded a scholarship to continue art studies in France. While in Paris he works and matures under the guidance of the sculptor Zadkine. 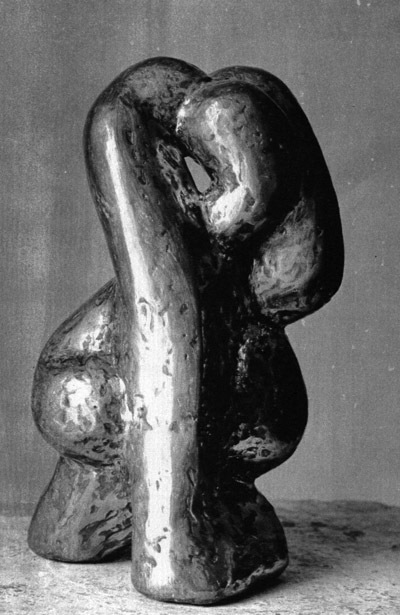 Mončys' achievents in sculpture receive recognition already in 1951. He is commissioned to do decorations in churches. In Metz, for example, he sculpts gargoyles for the Cathedral. A score of chimerae chiseled by his hand grimace in the sky of Lorraine. Mončys works in wood, stone, and bronze. He has exhibited in London, Dublin, Fribourg, Wuerzburg, Barcelona, Madrid, and Chicago. In 1958 he exhibited in Brussels and Monte Carlo and his first works were acquired by museums. Already during his early studies Antanas Mnočys displays a keen perception of the essential nature of objects and a deemphasis of their outward appearances. 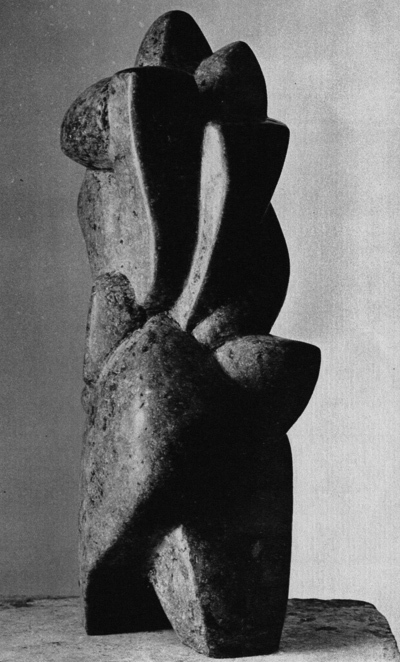 Quite early he disengages from the academic viewpoint of sculpture, while the studies with Zadkine further reenforce his personal conviction that the form must reflect the unique nature of entities and phenomena. "Mončys has emerged as one of the small number of authentic plastic talents in contemporary sculpture. He is not in the least a pictorial sculptor nor does he participate in the aesthetic of the "objet trouve"; rather does he address himself to the realization of the purely plastic, architectonic, potentials of sculpture. This position is in itself something of a rarity at the present moment in world sculpture if we but consider the often pictorial concepts of a Cesar, the dadaist preocupations of Tinguely and others; or the expressionistic and sometimes literary motivations in the tradition established by Giacometi and continued by Richier and her generation in the post World War II decade." In marked contrast Mončys as an artist belongs to and creates a world at once pured and more austere, and perhaps at first less easily entered into, yet finally more rewarding. It is a world of pure creation where intangible masses in relation achieve the condition of a species of simultaneous music. 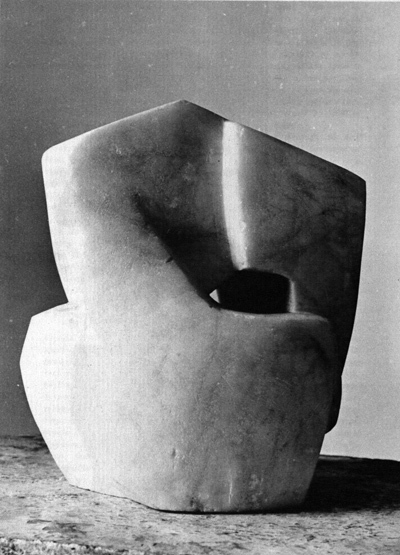 As such he is a spiritual descendant of Brancusi, particularly Brancusi as a wood carver, and of the cubist sculptors." 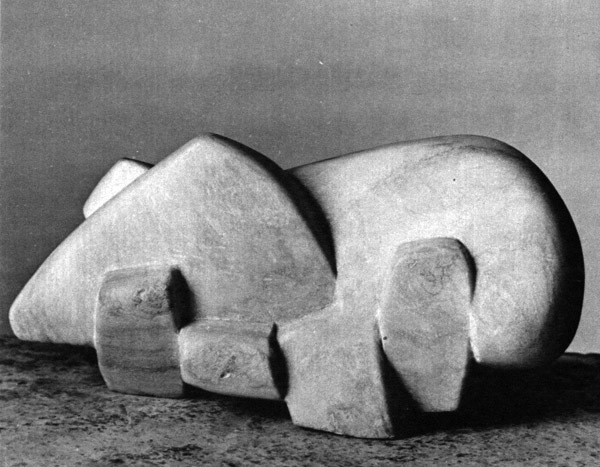 "And yet in comparison with Arp, Gauvin, Gilioli, and others who have inherited and who continue this conception of formal purity in sculpture, Mončys has gifts which set his work apart from these men and which in fact create a new style of his own. Above all he is concerned with organising volumes into syntheses of far greater complexity than is to be seen in the vast majority of contemporary sculpture. And at the same time he seeks the maximum interaction of space with his masses consistent with a strongly tactile quality in the work as a whole." "In his work Mončys is remote from theories and fashionable trends. Those who know him personally and who viewed his earlier works can easily sense the spiritual ties of the sculptor with the land and the people of his origin. 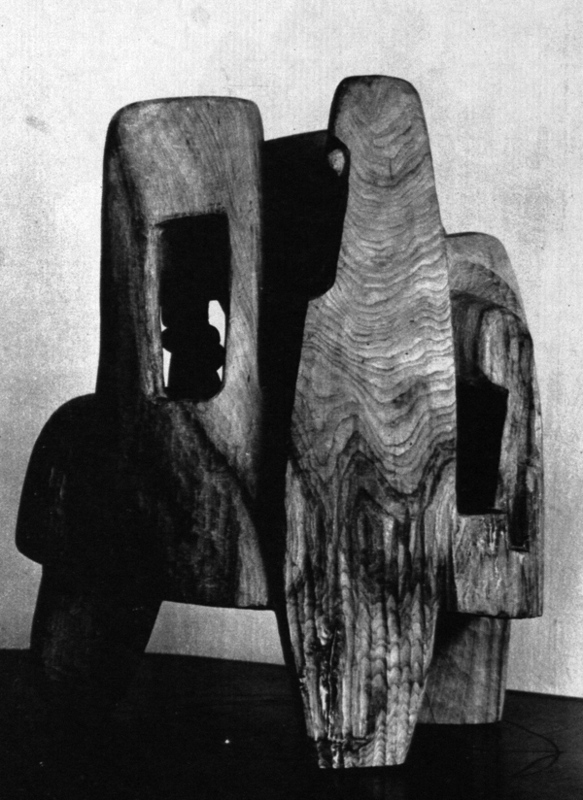 This is not to say that Moniys had succumbed to the temptation to paraphraze folk art; nevertheless, his sculpture exhibits that same deep anxiety and monu-mentality of forms which characterize the woodcarvers' art of his native Samogitia. The critic Fry sensed this when he said that "the distinguishing value of Mončys is the quality of his structures as structures. For it is on this basis that we must approach sculpture, and most particular ly non-objective sculpture; and here it is that Mončys excells. 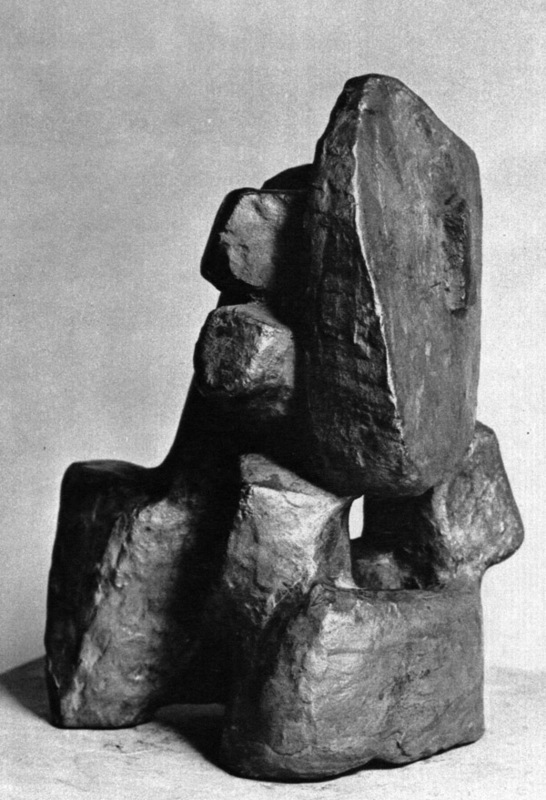 From this high quality of structure in his works comes a monumental sense that we detect even in sculptures of the smallest actual scale." Antanas Mončys chose France as his second country. Without doubt, he is a product of the school of Paris in the most meaningful sense. Only a full and direct contact with his work enables one to sense that in his anxious searchings and individual discoveries Antanas Mončys reveals that part of the universe which always remains with us.